An ordinary person with an average income drinks about 9.5 liters of alcohol a year, according to statistics. And this person is not addicted to alcohol — they just like to spend time with their friends and have a few drinks. Sometimes they take a break during the week and drink just a little bit, maybe having one glass of wine before bed to relieve stress. 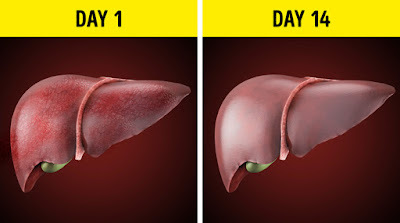 What would happen to the body of this person if they quit drinking for 28 days? The appetite seems to increase. In reality, people eat way more if they drink alcohol. And when they stop drinking, they instinctively want to keep their hands busy, usually with food. So, it’s best to replace food with juice and fruit after quitting drinking. Your craving for sweet foods may increase. Alcohol, especially the sweet kind, can increase the blood sugar levels, which could in turn create sugar cravings. But different people have different reactions and some experience a decrease in sugar levels. This is especially dangerous for people who have diabetes. It is hard to get quality sleep after quitting drinking. This can even be true for people who are used to drinking a glass of something before bed in order to fall asleep faster. While alcohol might make you fall asleep faster, it decreases the quality of your sleep. So as you transition away from alcohol the sleep itself will not be deep and some people might also have nightmares. In some cases, people might have headaches, which are a signal of major changes in the body as it’s detoxing from alcohol. It may affect the liver or even cause high blood pressure. At this stage of quitting alcohol, your body may even experience the opposite effect and kill the pain (when people drink regularly, their pain tolerance increases) and there is still some semblance of pain tolerance in the body in week one. The liver begins to recover. When people drink alcohol regularly, liver cells die and scars appear in their place. The organ can recover, but it is a very slow process. The less a person drinks, the faster their recovery will be. Another strong motivator may be the changes in skin color. Alcohol disrupts the blood circulation which leads to a lack of oxygen in the skin. As a result, alcohol makes the skin dry which leads to the appearance of pigment spots and early wrinkles. Digestion begins to improve. 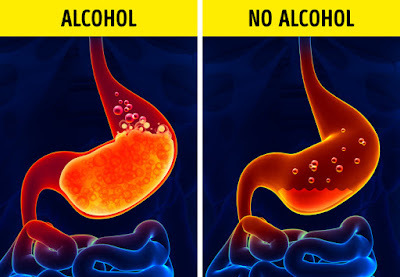 Alcohol increases the production of gastric acid. In other words, the stomach “eats” itself slowly. 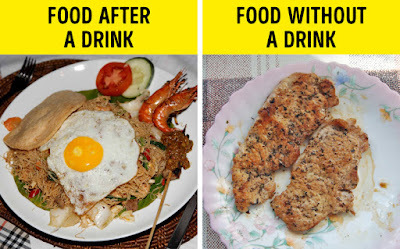 By the way, this is the reason why people eat more when they drink alcohol. People who experimented with quitting drinking alcohol claimed that by the 2nd week, it becomes much harder to turn down invitations to meet friends. People are very enthusiastic in the beginning, but by the 2nd week, they need a lot of willpower. 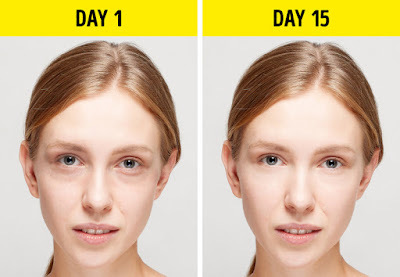 By week 3, the obvious signs of drinking alcohol (like dark circles under the eyes and facial swelling) disappear. This is because the urinary system can function properly now. It is easier to wake up in the morning. When a person is just slightly drunk, they go into a deep phase of sleep immediately skipping the initial stages. And when blood alcohol concentration drops, the sleep is not deep anymore and people wake up more often. Once alcohol is out of the system completely, their sleep cycle goes back to being natural, which makes waking up easier. Drinking decreases the production of saliva that affects the condition of teeth. 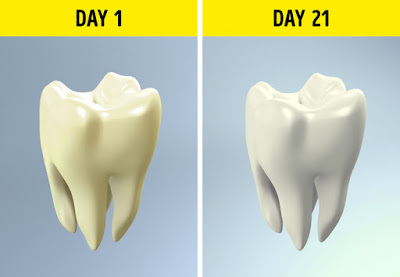 So, if you don’t drink alcohol, you have a lower risk of having cavities and your tooth enamel becomes stronger. Alcohol not only kills pain, but also the taste receptors and sense of smell. Over time, the ability to smell and taste recovers. 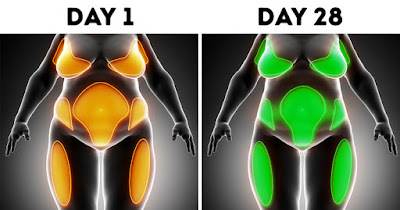 If a person has extra weight, the body mass decreases dramatically. The numbers are individual of course, but on average, it’s about 6-8 lbs per month. The longer a person doesn’t drink, the more weight they will lose. Alcohol increases blood pressure. If this happens too often, there is a risk of developing hypertension. People who don’t drink any alcohol don’t have this condition as often. And besides, the risk of developing cardiovascular diseases drops dramatically. The skin becomes much clearer. Acne and irritation disappear. Mostly this happens because the water balance in the body normalizes and so does the blood circulation. The face color becomes more even, and pigment spots disappear. People have a clearer mind and they work more efficiently. This is probably the least obvious change. However, research results show that when drinking alcohol regularly, a person’s brain swells just a little, and millions of brain cells die because of lack of oxygen. These changes are very slow, but irreversible.